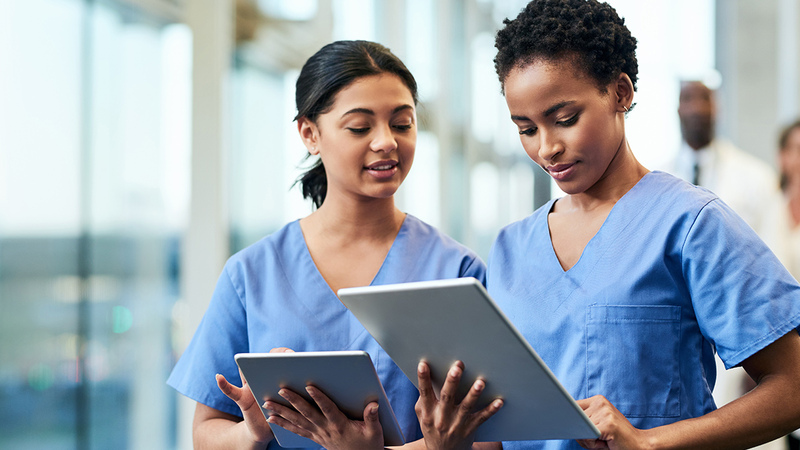 When it comes to continuing education for nurses, there is virtually no limit to the breadth and depth of opportunities that exist for nursing professionals to engage in ongoing learning throughout their careers. While some nurses may not see the forest for the trees in terms of their healthcare-related CE choices, there’s much more available than most may perceive. Most nurses likely think of continuing education as a chore to dispense with as quickly and efficiently as possible, and that’s understandable. Nurses fulfill many roles in their daily lives: some are parents and caregivers with multiple personal and professional obligations that make enrolling in and completing CE courses a low priority. But when licensure renewal comes around, many probably panic and rush to get them done in time. In terms of nurse continuing education, opportunities abound. From online courses to live events, there is an embarrassment of riches related to educational options for busy professional nurses. Just as some nurses may be blind to career alternatives outside of the acute care setting, many have a narrow view of what they see as “appropriate” learning for their position or career goals. However, a well-rounded nurse with varied interests can seek knowledge in a wide variety of areas, many of which may not be directly related to hands-on care, physiology, or other easily identifiable subjects that meet the “nursey” litmus test. Common categories of nursing continuing education subject matter can be readily identified, even when some may be outside of what many nurses would consider mainstream nursing and medical thought. Skills-based education: Continuing education courses -- whether online or in-person – can cover specific skills-based information, such as venipuncture, cardiopulmonary resuscitation, IV access and management, neurological exams, and similar critical areas of clinically-based knowledge. “Soft” skills: So-called “soft skills” include communication, motivational interviewing, emotional and relational intelligence, cultural competency, LGBTQ healthcare, incivility and bullying. patient privacy, grief and loss, death and dying, and a plethora of other subjects that are not grounded in hands-on “hard” skills. No matter, these are important areas in which nurses can choose to well-versed, and such knowledge and skill can translate to higher quality of care. Community and societal issues: Nurses can find themselves face to face with all manner of societal ills that plague our patient populations. These may include opioid abuse, human trafficking, suicide prevention, identifying child abuse, and reducing sexism and racism in healthcare environments. CE courses addressing these subjects can lead to nurses feeling more in touch with the struggles face by our larger communities. Holistic practices and philosophies: Learning about Chinese Medicine, energy medicine, Latino family home remedies, homeopathy, herbal medicine, or rural Haitian health practices can open nurses’ eyes to the belief systems and varied practices of diverse patient populations. CEU courses can address such issues and add to nurses’ cultural competency and ability to relate to patients and their lives at home. The benefits of such knowledge cannot be overstated. Nurses can attain high-quality learning via online CE course offerings like those found on NursingCE.com. They can also attend large in-person conferences run by national or international nursing or medical organizations, including specialty nursing associations focused on very specific sets of skills and knowledge. State nursing associations offer their own CE opportunities, which might come in the form of a legislative day learning how to lobby lawmakers in support of, or opposition to, healthcare-related bills, or perhaps a special presentation by a respected member of the local nursing community. International nursing conferences are also excellent venues for learning and professional networking. One-day seminars offered by a variety of educational companies can be found in most major metropolitan areas throughout the year, and many nursing journals offer CE credits for taking a post-test after reading scholarly articles. Nursing continuing education credits can be relatively affordable, easy to come by, and not overly difficult to accumulate. Busy nurses may be challenged to obtain their credits on time, but the resources exist for those who wish to pursue further knowledge or skill in a manner that adds to their sense of professionalism and personal accomplishment as frontline workers at the heart of patient care and healthcare delivery.